After the great result in the Rolex Sydney to Hobart Race, Wild Oats X was safely delivered back home to Sydney and I was able to enjoy a little sightseeing before heading back to the UK. Starting the year on the water felt like a good omen and I hope that 2019 provides me with many more exciting racing opportunities. The sudden change in temperature moving from Australian summer to UK winter got the better of me and a week of fighting the flu left me feeling a little behind the curve. You can’t keep a good woman down though and I am now back at it, training hard under the supervision of a personal trainer in the gym. 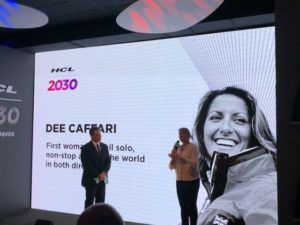 Outside of my fitness regime, I have spent time in esteemed company – from lunching as a guest of the RYA with their patron the Princess Royal to speaking at the world economic forum in Davos as a guest of HCL technologies. 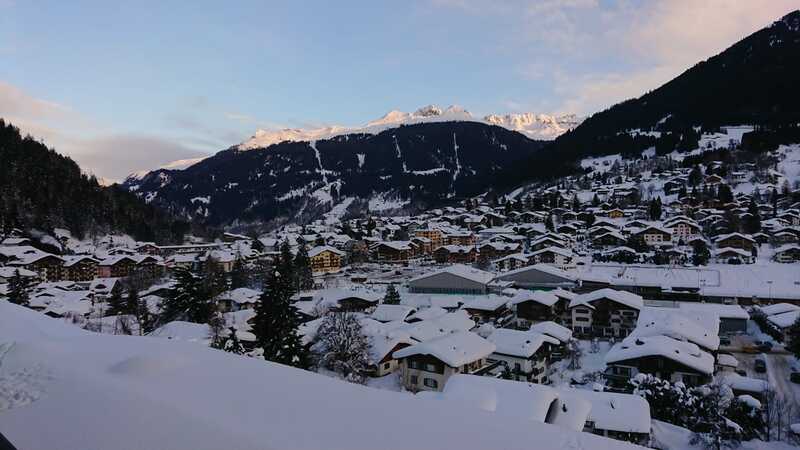 Davos brings together not just political and business leaders but people from all walks of life who share their ideas and aim to influence positive change. It was fascinating to be part of this renowned annual event. 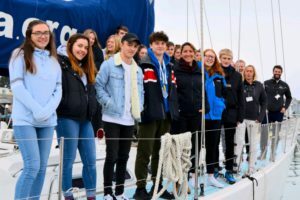 More recently, in my capacity as an ambassador for UKSA, I was invited to speak with their BTEC students who are working towards a career in water sports. As well as imparting tales from my round the world voyages, I was able to provide insights and advice on where the sport can take you, if you have the passion, drive and commitment. Speaking to young people at the beginning of their water sports careers ties in nicely with my mission to encourage people to make 2019 the year to try sailing. The UK has many sailing clubs along its coastline and inland lakes and all of them make newcomers and novices very welcome. Joining a club is also great for socialising and meeting new people. However, if the climate in this country is a little off putting, perhaps a sailing holiday is a good way to test the water so to speak. If sailing, sunshine and a different view from you window every day sounds appealing, there are a multitude of sailing holidays to choose from in many different locations. I myself am going to be taking something of a busman’s holiday in May when I embark on a sailing break in Croatia with friends. I have one more speaking engagement in January before it comes to a close. I have been invited to give a talk at the launch of the Marine Business Technology Centre in Plymouth. This new centre for marine innovation is a unique initiative that will help bridge the gap between research and industry. It will enable cutting edge environmental technology to be developed, tested and promoted nationally and internationally. Innovation is key to our advancement and for future proofing the marine industry so it is exciting to be at the launch of a project that will be able to test new technology in a marine environment.